Modern telescopes use a wide variety of signal and image processing techniques to obtain maps and spectra of objects in space. Different wavelength bands present distinct problems and opportunities. As technology rapidly advances, the numerical techniques change rapidly. In this talk I will review the challenges that cross all bands, such as resolution, dynamic range, and sensitivity, and then focus on mathematical techniques developed for radio astronomy that have applications in many other fields. Prof. Dickey received his B.S. (Physics) from Stanford University in 1972. He received his M.S. (Astrophysics) from Cornell University in 1974 and his Ph.D. (Astronomy) also from Cornell University in 1977. Prof. Dickey took a position as a Research Associate at Five College Radio Astronomy Observatory between 1977-1979. He then moved to the National Radio Astronomy Observatory, from 1979-1982, where he held positions as Asst. Scientist (1979-1981) and Assoc. Scientist (1981-1982). From the National Radio Astronomy Observatory he moved to the University of Minnesota, Dept. of Astronomy where he held roles of Asst. Prof. (1982-85), Assoc. Prof. (1985-1989), and Prof. (1989-2004). Prof. Dickey then moved to a position at University of Tasmania, School of Maths & Physics, as a Professor (2004-2009) beofre taking on his current role of Professor and Head of School (Maths & Physics), University of Tasmania in 2009. 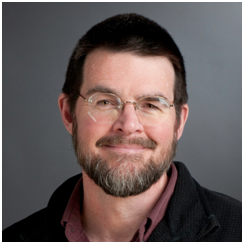 Prof. Dickey has 155 publications in refereed journals plus 75 in conference proceedings. Prof Dickey is co-principal investigator on the Galactic ASKAP Survey (a survey of the Milky Way Galactic plane using the Australian Square Kilometre Array Pathfinder telescope). This project includes some 60 scientists at 31 institutions in 12 countries. He has an H index of 41 and 9000 citations, including an ARAA paper (1990 28, 215) that has 3028 citations (2746 in refereed journals). His research interest is primarily radio spectroscopy of the interstellar medium of the Milky Way, Magellanic Clouds, and nearby galaxies. In recent years he has been using 21-cm absorption toward HII regions to trace spiral structure and the radial variation of the mixtures of the interstellar phases in the Milky Way. As Head of School, he supervises 23 Ph.D. level academics and 4 professional staff. He teaches six undergraduate courses (units) every year. He is chair of the Australia Telescope Users Committee. 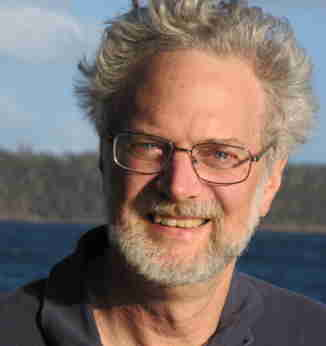 In the past 10 years he has been chair of the NRAO Users Committee, the Haystack Observatory (MIT) Visiting Committee, the AT Time Assignment Committee, and he served as the Australian national representative to the IAU in 2012. We are developing tangible imaging systems that enable natural interaction with virtual objects. Tangible imaging systems are based on consumer mobile devices that incorporate electronic displays, graphics hardware, accelerometers, gyroscopes, and digital cameras, in laptop or tablet-shaped form-factors. Custom software allows the orientation of a device and the position of the observer to be tracked in real-time. Using this information, realistic images of three-dimensional objects with complex textures and material properties are rendered to the screen, and tilting or moving in front of the device produces realistic changes in surface lighting and material appearance. Tangible imaging systems thus allow virtual objects to be observed and manipulated as naturally as real ones with the added benefit that object properties can be modified under user control. In this talk I will describe four tangible imaging systems we have developed: the tangiBook — our first implementation on a laptop computer; tangiView — a more refined implementation on a tablet device; tangiPaint — a tangible digital painting application; and phantoView — an application that takes the tangible imaging concept into stereoscopic 3D. James A. Ferwerda is an Associate Professor and Xerox Chair in the Chester F. Carlson Center for Imaging Science at the Rochester Institute of Technology. He received a B.A. in Psychology, M.S. in Computer Graphics, and a Ph.D. in Experimental Psychology, all from Cornell University. The focus of his research is on building computational models of human vision from psychophysical experiments, and developing advanced imaging systems based on these models. 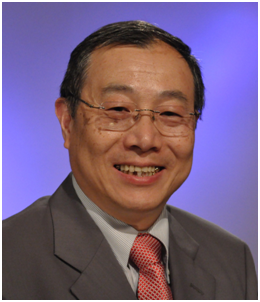 He is an Associate Editor of ACM Transactions on Applied Perception, and serves on the Program Committees of SPIE Human Vision and Electronic Imaging and Measuring, Modeling, and Reproducing Material Appearance. In 2003 he was selected by the National Academy of Engineering for the Frontiers of Engineering Program and in 2010 for the Keck Futures program. Developments of digital picture coding have been underpinned to date by three fundamental theories, i.e., Shannon-Nyquist sampling theory for digital representation of visual signals or picture waveforms, Shannon's entropy theory which defines the lower-bound for information lossless picture compression, and Shannon's rate-distortion (R-D) theory for lossy picture compression, notwithstanding these theories are applicable to a much wider range of signals than pictures. This keynote reviews generations of relentless research efforts of advancing DPC theories on human perception basis, i.e., expanding Shannon-Nyquist sampling theory by compressive sampling for reconstruction of signals without perceptual loss; pairing Shannon's information entropy with perceptual entropy setting the lower-bound for perceptually lossless coding of visual signals; enhancing Shannon's R-D theory by introducing Rate-perceptual-Distortion (RpD) optimisation for perceptually lossy picture compression. It elaborates the importance and the relevance of research and development in perceptual picture coding (PPC) as three-fold in terms of theoretical development, undisputed practical compression performance gains, and paradigm shift from technology dictated bitrate constrained to user-centric visual communication and entertainment services. The history of research and development in human visual system (HVS) based perceptual picture coding is longer than what many care to admit. This keynote examines successful approaches to perceptual picture coding design in three broad categories, i.e., JND (Just Noticeable Difference) model based predictive (including motion-compensated video) coding, perceptual quantisation strategies based on both JND and supra-threshold HVS models, and RpD optimisation, highlighting advantages of these approaches and challenges which each faces. A number of gaps are identified in relation to perceptually lossless and perceptually lossy coding, perceptual coding of monochrome and colour images, and intra-frame and inter-frame or inter-view video coding. It will shine spotlight on importance, relevance and urgency of PPC research which have become increasingly obvious to research and professional communities and industries in order to develop future generations of high quality picture coding standards, products, systems and applications such as super- or ultra-high definition (SHD or UHD) imaging and video systems, digital cinema distribution systems, full HD 3-D video/TV, immersive interactive visual systems, and PACS for telemedicine/telehealth applications. The time has come that the visual communication services and entertainment be transformed from the "best efforts" to quality assured practice for the associated industries to be sustainable in the long run. It concludes by highlighting a number of theoretical and practical challenges in this fascinating field of engineering and technology which has been transforming our way of life. Hong Ren Wu received his BEng. and MEng. in electrical engineering from University of Science and Technology, Beijing (formerly Beijing University of Iron and Steel Technology), P.R. China, in 1982 and 1985, respectively. He received his PhD in electrical and computer engineering from the University of Wollongong, N.S.W. Australia, in 1990. Dr Wu was on academic staff of Chisholm Institute of Technology and then Monash University, Melbourne, Australia from April 1990 to January 2005, last as an Associate Professor in Digital Systems. Since February 2005, Dr Wu has been with Royal Melbourne Institute of Technology, Australia, as Professor of Visual Communications Engineering, serving concurrently from 2005 to 2010 as Discipline Head of Computer and Network Engineering in School of Electrical and Computer Engineering. Professor Wu is a co-editor of the book, Digital Video Image Quality and Perceptual Coding, CRC Press, 2006 (ISBN: 0-8247-2777-0). He is a guest editor for the special issue on Multimedia Communication Services of CIRCUITS, SYSTEMS AND SIGNAL PROCESSING, No. 3, 2001, the special issue on Quality Issues on Mobile Multimedia Broadcasting of THE IEEE TRANSACTIONS ON BROADCASTING, Vol. 54, No.3, Pt II, September 2008, and the special issue on QoE Management in Emerging Multimedia Services of IEEE COMMUNICATIONS MAGAZINE, April 2012.